In the future, anything can be monitored, recorded, shared and analyzed. Two interesting examples are food ingredient detection and brain activity tracking. Apart from the devices themselves, the associated user data will be a valuable commodity of trade between manufacturers and consumers. These new devices integrate new display concepts, such as smart mirrors, screen projection, and digital signage. 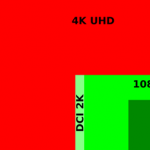 These displays range in size from wrist watch size to home theater size and beyond. These technologies will also integrate more with existing technology, such as automobiles and entertainment systems. Using cloud servers to control every interface, the boundaries between devices will become increasingly blurred. CES 2015 also introduced new breakthroughs in transportation technology. New lightweight personal travel options included electric scooters, electric unicycles, and even electronic shoes. "Smart" and "networking" were two of the most important keywords at CES 2015. In the future, no matter where we go, sensors will track our progress and then transfer this information wirelessly. As someone returns home, a camera with integrated computer vision technology will detect the homeowner using facial recognition technology and then open the door automatically. Later, the user will be reminded to do exercises or watch their favorite TV program. Indeed, technology and human behavior will become even more tightly integrated. As these technologies proliferate, it will also change our thinking and behavior. In the future, our lives will become more cybernetic through the introduction of these Internet-powered gadgets. Mice and keyboards were the dominant user interfaces during the PC era, but mobile and wearable devices have now introduced a more intuitive, gesture-based paradigm. Colorful smart watches, eye-tracking products (Tobii) and gesture-based products (Ring or Fitbit) are gradually taking over our lives. We have got the ceramic necklaces that beam notifications on your skin as an example of wearables which is becoming popular by morphing into potentially luxury fashion items. The smart t-shirt that collects user data is another example of technology integration into the very fabric of our lives. For these new smart, mobile devices, the quality of the user interface is a major factor influencing the consumer purchase decision. At CES 2015, many manufacturers launched new smart home devices. 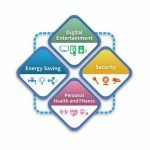 The market research company IDC estimates that from 2013 to 2020, the annual compound growth rate for the smart home market will reach 17.7%, for a total market size of $51.8 billion by 2020. But although there are a number of innovative products on the market, consumers do not seem so keen to use their mobile phone to control light switches. Smart home technologies should conform to consumer habits and provide a more streamlined and intelligent user interface. When developing an integrated smart home system, many manufacturers ignore the fact that a family consists of more than one member. 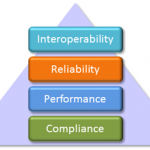 As a professional certification and consulting services institution, Allion offers comprehensive usage scenarios that simulate real-life situations, to help manufacturers prepare for device certification and product use. 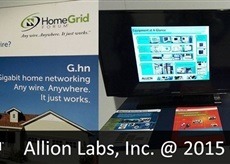 As the first Accredited Test House (ATH) of the HomeGrid Forum (HGF) based in Asia, Allion joined forces with HGF to promote Gigabit home networking (G.hn) technology at CES 2015. 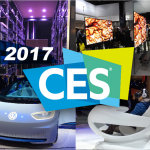 For the first time ever, smart TVs and Wi-Fi routers with embedded G.hn were on display at CES. Other exciting demos featured multi-vendor interoperability within the three main G.hn system types (power lines, coaxial cables and telephone lines) and a large-scale network with multiple TVs running multiple high-definition videos over a G.hn power line. "We are proud to cooperate with HGF to join this event. G.hn technology is a set of wired networking protocols allowing signal transmission over home power lines, coaxial cables, and telephone lines. G.hn possesses the advantages of easy arrangement of wires and does not rely on or interfere with existing home networking technology. Therefore, this year we can see many medium and large-scale telecom companies and service providers are interested in G.hn technology“; said Mark Lai, Global Technical VP of Allion. Additionally, both our test laboratories in Taiwan and Japan, are officially accredited by Continua Health Alliance as Continua Test Labs, authorized to provide test certification programs and consulting services for personal connected healthcare devices, as part of the Continua Certification program. Continua is an international organization promoting health care and medical technology that aims to establish a better connected health care system to enhance the quality of personal health data management. In this way, they help the elderly and disabled persons live more independently, and enable personal health solutions and fitness tracking solutions.